Our Red Cabbage and Carrot Slaw is the perfect addition to any BBQ or pot luck gathering. Crispy cabbage, carrots, and red onions tossed in a tangy Apple Cider Dressing create a wonderfully crunchy and light slaw. Which pairs perfectly with our Slow Roasted Pork Shoulder or any combination of dishes! The Apple Cider Vinegar is a key flavor component, enhancing the bright flavors of the slaw. The acid also is key in breaking down the tough cellulose exterior of the cabbage and carrots, while maintaining a nice crisp bite, it’s the magic element! Be sure to slice your veg nice and thin, we achieve this cut with a mandoline slicer. This simple tool makes prep time a breeze with so many dishes. Always use the guard though, I’ve seen many people lose a part of a finger on this super sharp device! So please be safe and use the guard! Why is it called Coleslaw? Dutch in origin, the term “koolsla” or “koolsalade” which means “cabbage salad”, arose in the 18th century. Coleslaw or slaw is a salad made up of a light crunchy blend of grated or julienne vegetables tossed in a vinaigrette, or mayonnaise-based dressing, some dressing like ours contain a bit of both. 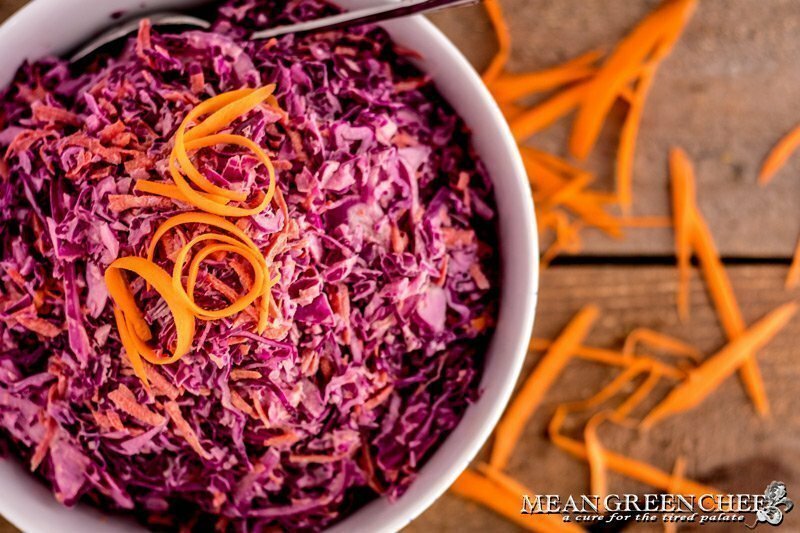 Our Red Cabbage and Carrot Slaw is the perfect addition to any BBQ or pot luck gathering. Crispy cabbage, carrots, and red onions tossed in a tangy Apple Cider Vinaigrette create a wonderfully crunchy and light slaw. Combine the red cabbage, carrots, and red onions in a large mixing bowl. Whisk together the mayonnaise, Apple Cider Vinegar, sugar, and some salt and pepper in a medium bowl. Add the dressing to the slaw mixture and blend well to combine. 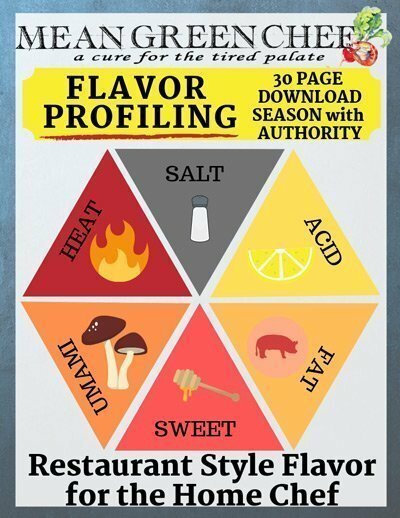 Taste for seasoning; adjust with more Kosher sea salt, pepper or sugar to taste. Wrap tightly and allow to sit for at least 3 hours or overnight for best flavor. Refrigerate in an airtight container and eat within 3-5 days. How long can coleslaw be left at room temperature? Bacteria grow rapidly at temperatures between 40°F/4.4°C and 140°F/60°C, coleslaw should be discarded if left out for more than 2 hours at room temperature. If you’re looking for some ideas for the Superbowl or a family gathering then be sure to check out our other great recipes!